In the third installment of this five-issue miniseries, everyone thinks they know Big Moose. They're wrong. Determined to rid himself of both Moose and Archie, Reggie exploits his new 'friendship' with the big guy to learn, 'The Secret Life of Moose Mason!' Reggie uncovers surprising truths about Moose's family and his troubled past. He discovers the real reason why Midge is so devoted to Moose. He exposes the big guy's hopes, dreams and fears. 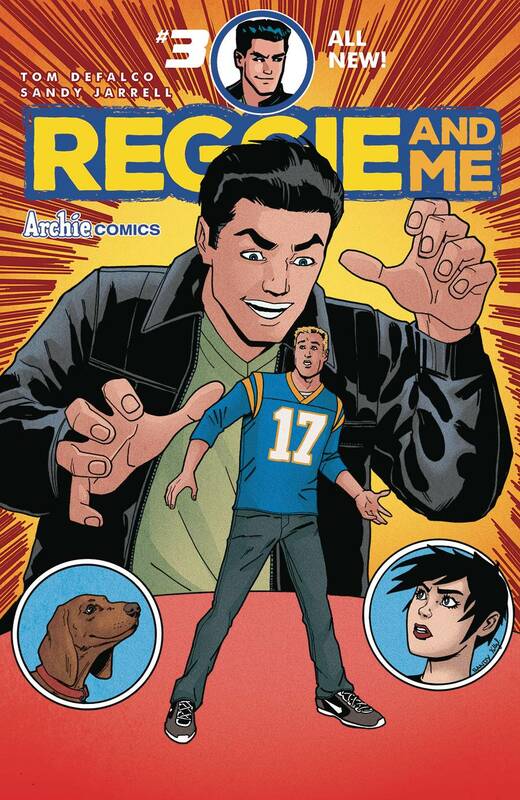 Teemed with his beloved dog Vader, Reggie begins to plant the seeds that will eventually lead to Moose and Archie's expulsion from Riverdale High.